Singapore is on a hiring spree for air traffic controllers to handle its burgeoning number of flights. From 390 now, total staff strength will increase to about 600 by the end of the decade, the Civil Aviation Authority of Singapore (CAAS) told The Straits Times. The recruitment drive, which industry players say is the most aggressive in recent years, comes amid a global shortage that has caused concerns at the United Nations. Based on air traffic projections and aircraft orders, the International Civil Aviation Organisation (ICAO) - the UN's civil aviation arm - estimates that the world will need another 40,000 air traffic controllers by 2030. But a lack of training facilities, among other factors, could cause a shortage in areas including the Asia-Pacific, which is expected to face a deficit of more than 1,000 controllers a year, the ICAO has warned. This could have an impact on safety for the rising number of travellers. 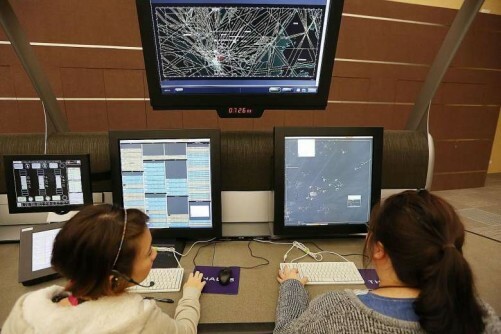 As Singapore ramps up the recruitment of air traffic controllers, and with increasing manpower costs, there is some worry that air navigation fees could go up, said airlines. A CAAS spokesman said the aim is to ensure that air navigation fees continue to remain competitive. "Where appropriate, CAAS is prepared to consider measures to help airlines manage costs," she said. In the two financial years from 2014, for example, the authority absorbed $50 million in total air navigation charges to help airlines operating at Changi Airport during a period of rapidly rising costs, she said. Apart from hiring more people to help planes land and take off, the industry is also mindful of the need to ensure that these air traffic controllers are always alert. Given the nature of the job, the controllers, who do nine-hour shifts - morning, afternoon and night - take a 30-minute break for every 11/2 to two hours of work, the CAAS spokesman said. The shift system is regularly assessed to ensure it not only meets operational needs, but also the preferences of the officers, she said. CAAS is reviewing the processes and procedures, in line with a global ICAO initiative, to reduce fatigue, among other objectives. One area being studied is how rosters are planned, taking into account the fact that the body does not react and adjust to situations in the same way throughout the day. CAAS will make the adjustments, if any, before ICAO's November 2020 deadline. A similar exercise was done for pilots two years ago, with new rules introduced in June 2014. Apart from relooking rostering systems, the review also resulted in carriers being asked to monitor their crew closely to ensure that they perform at the highest level of alertness during duty hours, and to submit regular reports to CAAS. With the number of global air travellers set to double in the next two decades to about seven billion, there is also a big push for investment and regional cooperation so airports can handle more flights safely and efficiently. In remarks made earlier this year, Mr Jeff Poole, director-general of the Civil Air Navigation Services Organisation - a global body for air traffic management providers - stressed that without adequate commitment and investment in air traffic management, "the remarkable growth in the (Asia-Pacific) region will be stunted". "Air traffic management may be the invisible part of the air transport value chain, but we provide the infrastructure that enables connectivity and the safe and efficient flow of air traffic," he said, as he stressed the key role that air traffic controllers play.